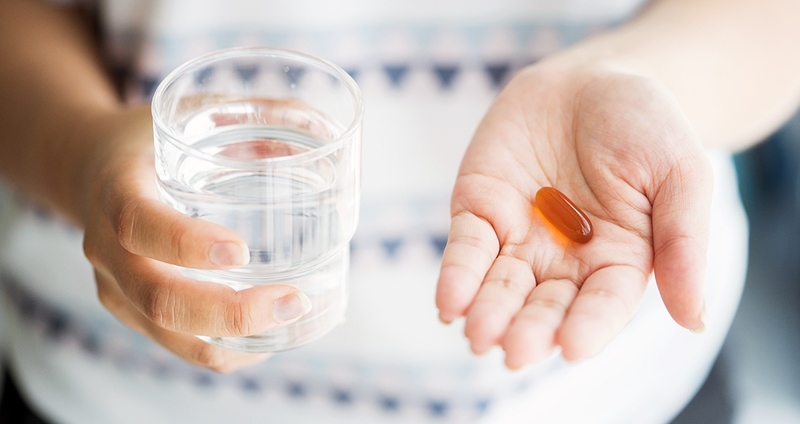 You’ve likely heard it before: Getting enough vitamin D is critical for good health, but that’s not always easy to do. Considering we can only pull small amounts from our diets, and our modern indoor lifestyle limits the sun exposure needed to produce the vitamin internally, it’s no wonder as much as 50 percent of Americans are thought to be deficient in this essential nutrient. Supplementation can be a good solution, but not without the help of magnesium! Vitamin D is a powerhouse in the body. It helps to regulate cell growth and keep your immune system strong; plus it promotes calcium absorption and protects against osteoporosis and bone fractures. Studies have shown having low levels can increase the risk of diabetes, heart attack, asthma, autoimmune disease and certain cancers. The question is, how much vitamin D do you need? According to the National Institutes of Health, adult males, females and pregnant/lactating women should get 200 IUs daily, and those over 70 need 600 IUs. That said, a recent review published in the Journal of the American Osteopathic Association revealed that without enough magnesium in the body, all that supplemental vitamin D may remain inactive, or cause issues due to increased calcium and phosphate levels. “Vitamin D needs to be metabolized in the liver and kidney to be functional, and the enzymes that help do that need magnesium to be bioactive,” says study co-author Mohammed S. Razzaque, MBBS, PhD, a professor of pathology at Lake Erie College of Osteopathic Medicine. Consumption of vitamin D supplements without enough magnesium can lead to problems such as vascular calcification. By some estimates, up to 80 percent of Americans are not getting enough magnesium and may be deficient. Other research shows only about 25 percent of US adults are getting the recommended daily amount of 320 milligrams for women and 420 milligrams for men. Eating magnesium-rich foods like avocados, almonds, spinach and soy and drinking mineral water is important, but almost everyone can benefit from magnesium supplementation. Getting one’s daily allowance for magnesium allows both supplemental and naturally produced vitamin D to function at its full potential. “By consuming an optimal amount of magnesium, one may be able to lower the risks of vitamin D deficiency, and reduce the dependency on vitamin D supplements,” says Razzaque.